The need for ID cards for enterprise security has always been relevant. In a day and age where elaborate counterfeiting continues to be a genuine concern, there has been a growing need to produce cards and badges which are impervious to mimicry. 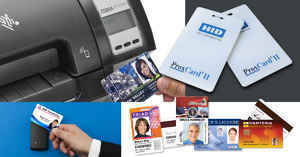 However, there are also a number of simple standards that all business ID cards should be adhering to. Organizational culture takes into account all aspects of any environment. From the way the office is decorated to the employee standard operating procedures, they all speak volumes as to what an organization values. One such artifact that conveys worth and culture is the standard membership ID employed by most organizations. 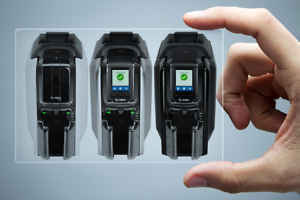 ID Security Online continuously updates its selection of ID card printers to give customers the newest and most innovative printing technology. Leading card-printer manufacturers are always improving their technology, print speeds and security options, so don�t miss these noteworthy recent additions to our lineup. Businesses and clubs of every size need to print photo ID cards for a wide variety of reasons. For businesses or organisations that require the ability to print 1000s of ID, payment, or membership cards each year the investment in an ID card printer is clearly worthwhile, but what is the solution if you want to print 1000 or less cards in the course of the year? You could outsource the card production but that can be costly and inconvenient since you lose the ability to print on-demand. When it comes to your organization, there is nothing more valuable than the safety of your employees. Regardless of what field you find yourself, employees don�t enjoy taking a back seat to the bottom line at the expense of their well-being. Nor do they enjoy being burdened by cumbersome security measures that slow down their productivity throughout the day. How Do Healthcare Companies Use ID Card Systems? The healthcare industry requires security and sensitivity across the board. As a result, there has been a growing need for the way that professionals and patients identify themselves. 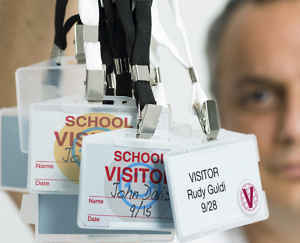 It has long been a requirement for hospital and medical staff to wear ID badges for access control. ID card systems can, too, be beneficial in helping to reassure patients and visitors. A professional wearing visible, verifiable ID is one you can trust. 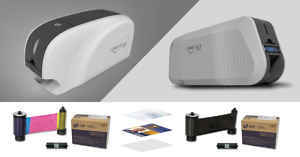 ID Card Printer: When to Upgrade? 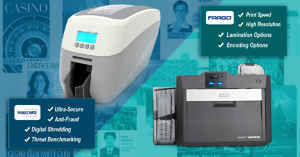 You will be aware that there are many reasons why you should update your ID Card Printer technology. However, businesses cannot afford to make every upgrade or take advantage out of every improvement that can help their business. As a company, you need to evaluate your finances and justify every expense. Therefore, while you may know the reasons why you should update your card printer technology, the most important aspect is knowing when to upgrade your card printer technology. When the ability to print ID cards is vital to the security and operation of your business then choosing the right printer is essential. 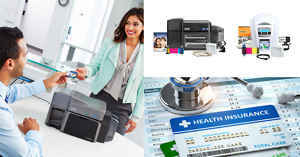 You risk being left struggling with a printer that can�t produce sufficient cards or is incapable of creating ID cards of a quality you can actually use. 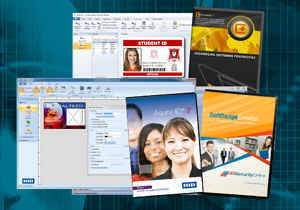 When you need a new printer look for one which has been created specifically for small-to-medium sized businesses. Make sure that the solution you are being offered is a fast and reliable printing solution which can produce high-quality ID cards and badges on demand. 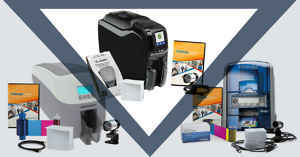 At IDSecurityOnline, we regularly refresh our selection of ID card printers to ensure our customers have access to the latest and best printing technology. Leading card-printer manufacturers continuously improve their technology, print speeds and security options, so here�s a quick look at what�s new. 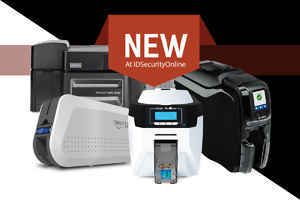 When Zebra recently introduced three new card printers, IDSecurityOnline put them to the test�and they passed with flying colors. Results were impressive. For anyone currently in the market for a reliable card printer to consistently produce just about any type of card�employee ID, credit, debit, identity, access, loyalty, public transportation passes and more�it's worth looking at Zebra's new card printer line. Overall, the ZC Series brings the best features of modern card printing into one highly productive unit�and adds some advanced features not seen in common card printers. Remarkably, these printers have stunning curb appeal�a masterful delivery of equal parts form and function�fitting appealingly yet unobtrusively into any office or retail/commercial/service setting. To enhance enterprise security, cards and badges can incorporate visual security elements�both on cards and on card accessories like lanyards. 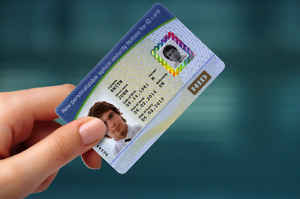 What is a visually secure ID card? Answer: One that incorporates enough visual security features to ensure the ID card accomplishes enterprise security objectives. 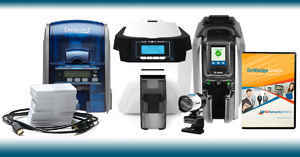 Retransfer (reverse transfer) printers�the most advanced card-printing technology available�print reverse card images onto a flexible, transparent film (retransfer film; a thin clear substrate), and then thermally bond (fuse) the film onto the card surface with heat and pressure as a distinct secondary process. These two-steps�called �reverse thermal image transfer��don�t print directly onto the card surface. By comparison, traditional dye-sublimation direct-to-card printers use a printhead that prints through a ribbon directly onto the card surface; the printer�s expensive, and often delicate, printhead touches every PVC card directly, triggering increased printhead replacement. Any uneven part of the card surface�including contact with card edges�can cause expensive printhead damage. Exactly How Secure Does Your Organization�s ID Card Need to Be? If your organization primarily uses ID Cards to identify members of the Jelly of the Month club, then security is likely pretty low on your radar. For others, security means protection from corporate espionage or at the highest levels of government our national security. The truth is that most organizations fall somewhere in between the variants of balancing the needs for ID Card Security with the costs of obtaining that security. It�s a fair question to ask and if you are simply seeking to maintain a little integrity into your jelly of the month club, the answer may be easy. As for the rest of the corporate world, it is a little more complicated than that. Thankfully, we are here to help.